So, I have started on blue. 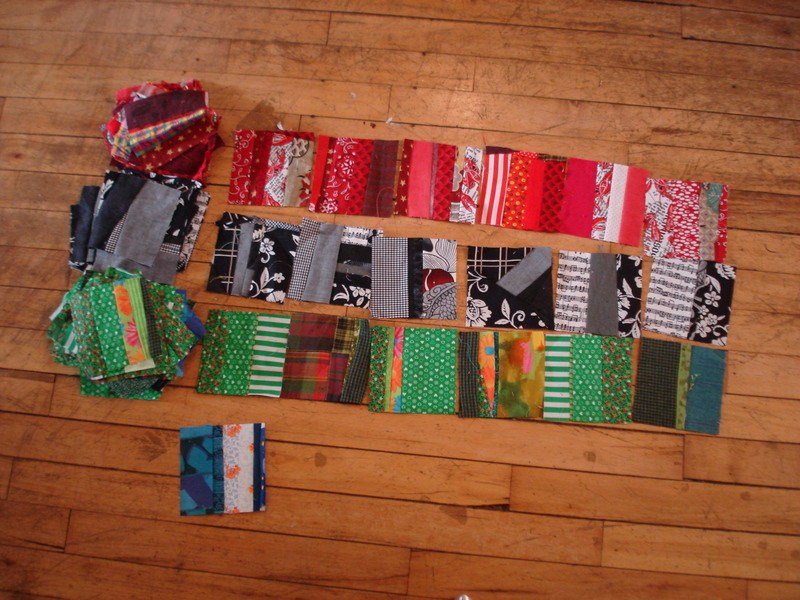 I have decidedly more green than any other color which is odd because I have less green fabric. Right now the squares are very disparate. I thought that size and shape would be enough to unify them, but I am not completely sure of that now. In any case, they are fun to make. After blue, I think I will be nearly half way there: purple, brown, yellow, orange and white left.